Picks go here. Reminder, pick both one driver and one team for the race. 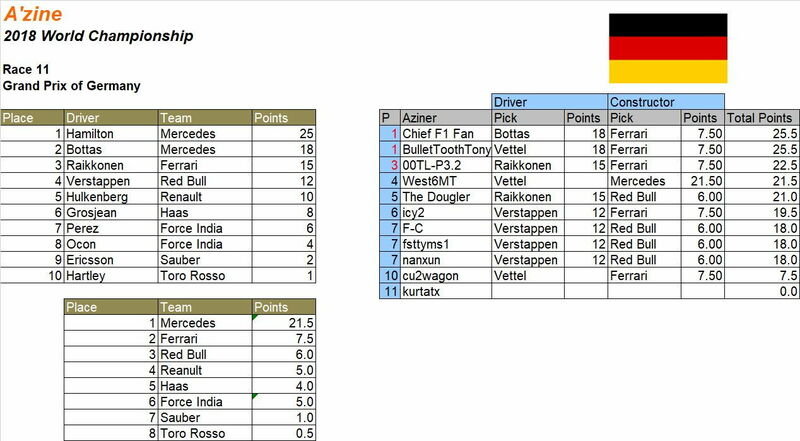 You can only pick each driver four times and each team four times the whole season. Picks close at Saturday, 9 a.m. EST July 21st, or prior to the start of qualifying, whichever comes first. Only picks places in the thread will count. Doh. Forgot to change my pick after seeing that Ricciardo is going to start last.